On the first pour you automatically notice the more golden colour to the wine. But the thing that hits you the most is you can smell the thing as soon as it hits the bottom of the glass. It was a pungent bugger, but in a really nice way. The smells I got were quite smokey oak characters, didn’t say anywhere if it had seen some oak, but was smelled like it. The fruit flavours were citrusy lemon and orange, but with more tropical smells of pineapple as well. Was looking forward to drinking this one. On the taste it was full bodied, a hint of steely minerality, and a lovely refreshing citrus finish. You just don’t expect it to be so refreshing. Especially not with the colour, the heavy smells, and the body of the wine. But there you go. A lovely, and very different wine. Was there a drawback? Well if I’m being really really picky, not sure the 13.5% alcohol was 100% balanced. But that’s being off-the-scale picky. Not hugely complex, but a very nice wine. 8/10. And now a quick word on the food pairing. I scrapped the mackerel and went for sardines as soon as I saw the price of sardines. How bloody cheap are they? Think I paid £2.50 for 6 fresh sardines. These things are unbelievable good for you, there’s loads of them about, get stuck in. So, oranges matched the citrus flavour. 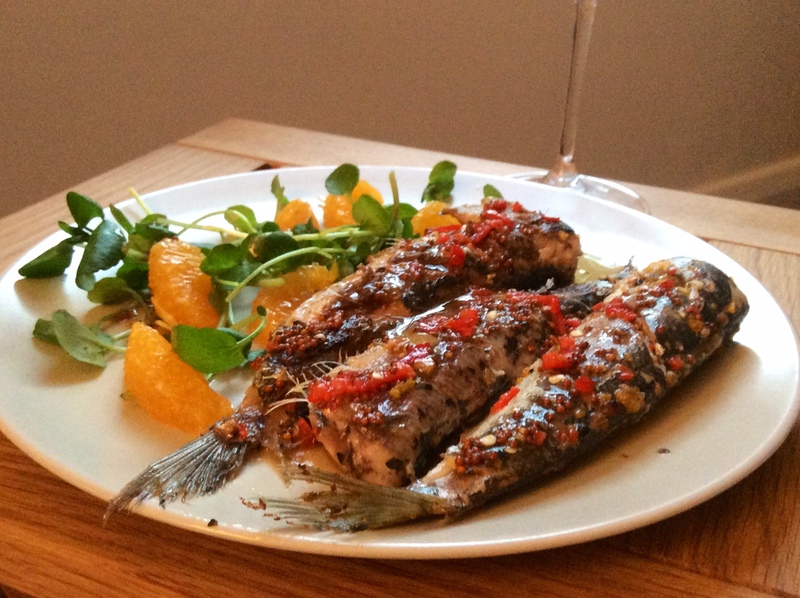 The punch of the watercress and metallic flesh of the fish went well with the minerality of the wine. The amazing acidity of the wine did great with the oiliness of the fish. Maybe the a tad less chilli next time, it reacted a bit with the alcohol levels in the wine. But all in all a nice effort! 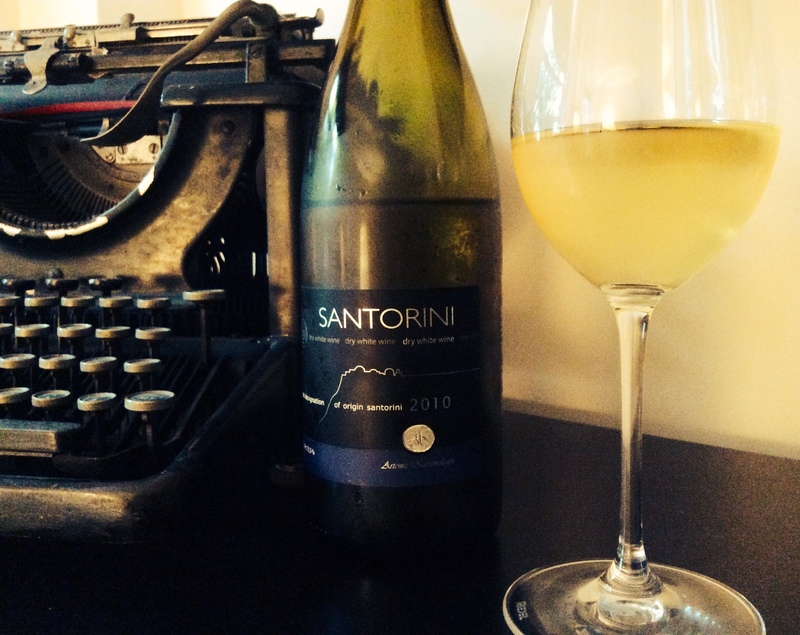 #NWTW Week 24: Winemaking in Greece, the Granddaddy of them all! Looks like you had a similar experience to me with an oakiness not mentioned anywhere on the label! Aye, I did a quick double take, but it was definitely there wasn’t it! Fit well though…bring on week 25! Looking forward to it already… Pick a good ‘un! 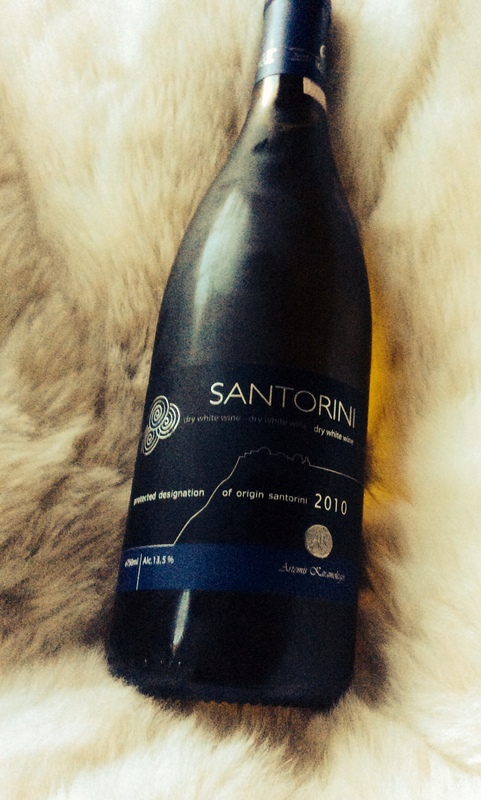 Ours didn’t exhibit any oak but it had that same unusual huge body but lively and refreshing acidity. This was a fun one!